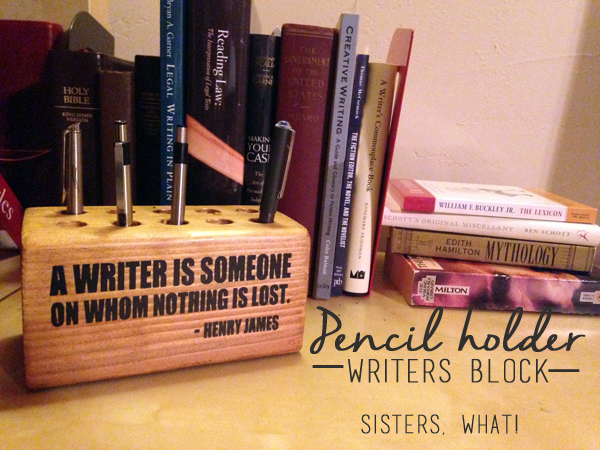 ' Pencil Holder |Writers Block| - Handmade Christmas - Sisters, What! 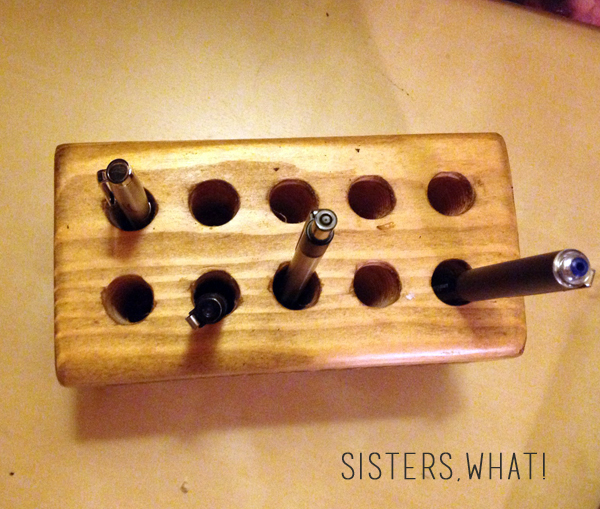 Anyway, I saw this post on the Lil Blue Boo blog (seriously, one of my favorite blogs) about making pencil holders. (see hers above). 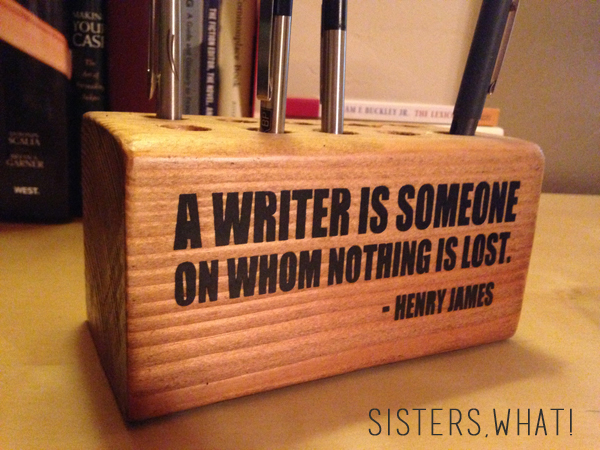 When I saw the one she did with the quote "A writer is someone on whom nothing is lost." 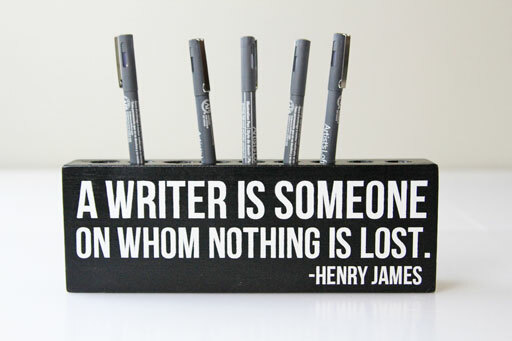 - Henry James, I knew I had to do one for my brother. This quote back so many memories of me telling Dan about a book and him asking me endless questions about it and then asking if I wrote my thoughts down about it. I totally forgot to take any pictures of the making of it, but instead of buying a pre-cut block from Michaels, I had my husband cut me a piece of 4x4. Then I drilled holes in the top just like Ashley said to do. Also I chose to stain my block instead of painting. Then using my silhouette, I cut out a vinyl stencil and painted on the quote. I love the look of paint and was so excited that it turned out so crisp. Now I'm sure most of my brother's writing happens on a computer, but I feel like this was a perfect gift for him symbolizing what it means to be a writer. This is such a personal gift, and I love how anyone could make it with a quote that is perfect for the person they are giving it to. It is so nice how close your entire family must be to each other.